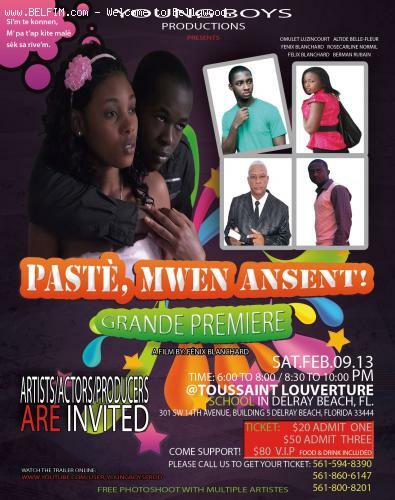 There is a new Haitian film called Paste, Mwen Ansent (Preacher, I am pregnant) the movie premiere is tonight, 9 Feb 2013 at the Toussaint Louverture High School in Delray Beach. I am actually at the premiere. Tommorrow I will share some photos with you. Bnsr distribite Mw ta renmen gen video vwazinn nan.